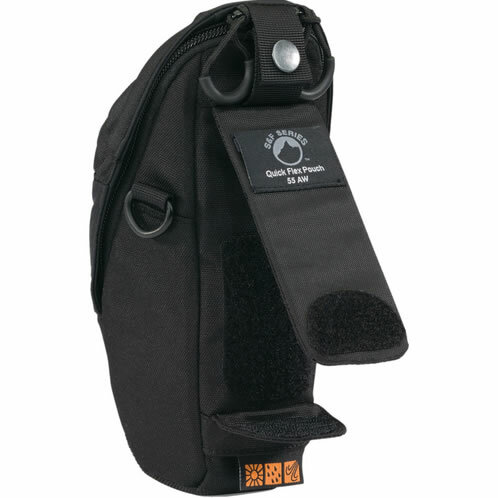 The Lowepro S&F Quick Flex Pouch 55 AW (Black) is designed to carry a standard electronic flash such as a Canon 430EX II or Nikon SB600. 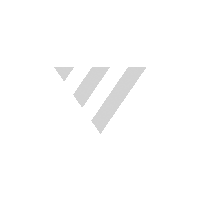 It can also be used to carry small accessories such as a wireless remote, batteries, etc. 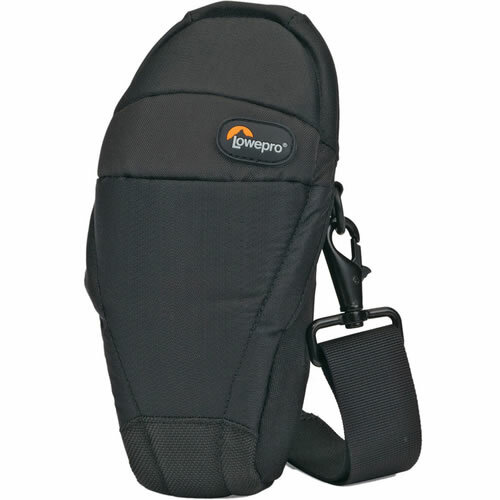 The Lowepro S&F Quick Flex Pouch 55 AW (Black) is designed to carry a standard electronic flash such as the Canon 430EX II or Nikon SB600. 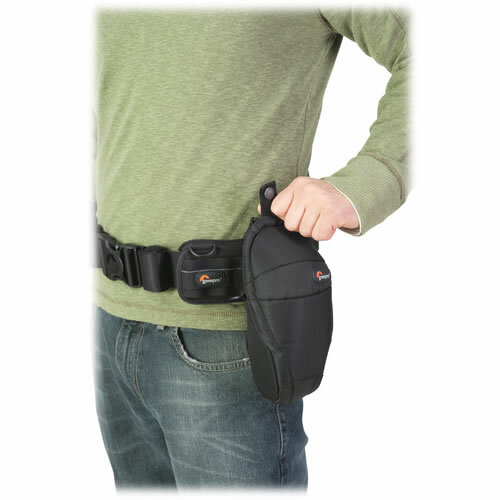 It can also be used to carry small accessories such as a wireless remote, batteries, etc. 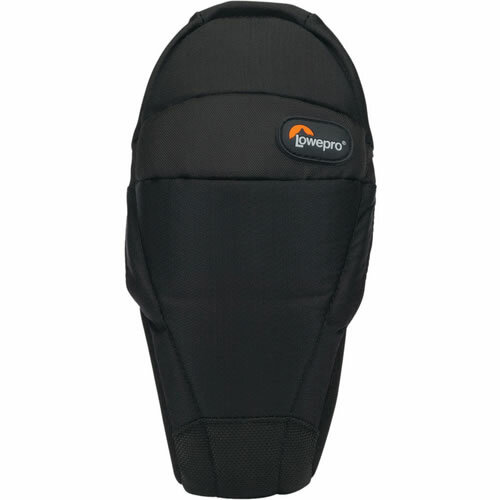 It has a spring-loaded flap design that keeps the accessory case partially open when I use and then securely closed. The sloped shape ergonomic shape speeds access to pouch allowing accessories to be easily grabbed. 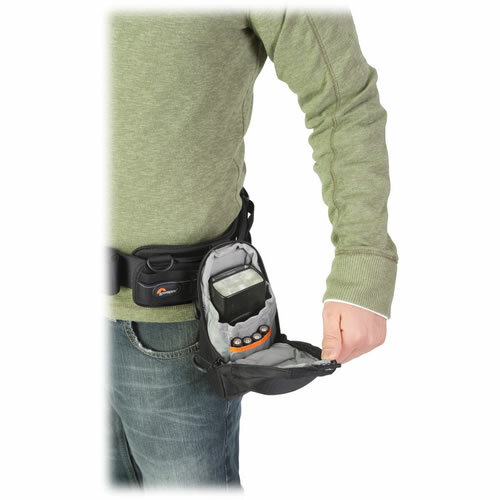 The SlipLock attachment tab allows the pouch to be worn on a compatible S&F belt or other SlipLock product. 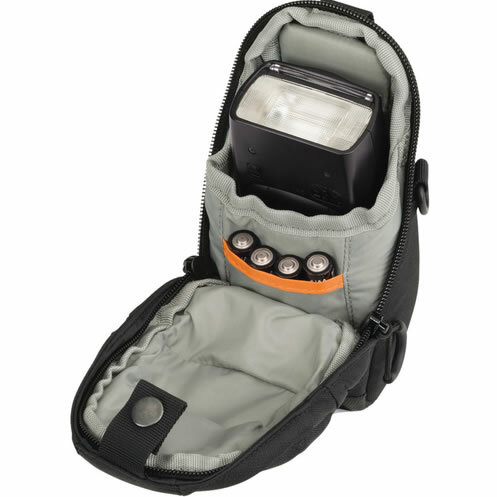 The Quick Flex Pouch 55 AW pouch has an interior pocket for batteries, gels, etc. There is a built-in All Weather AW Cover to protect the pouch and contents against inclement weather. 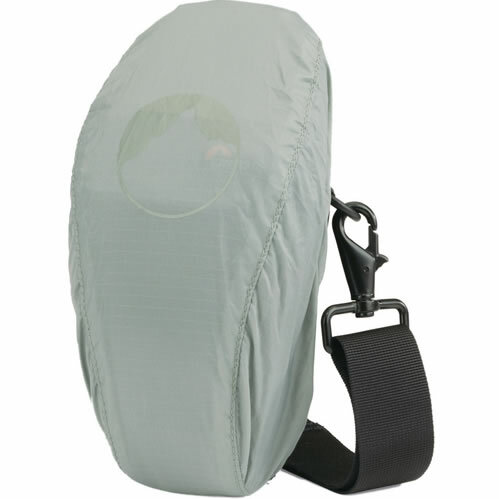 It is carried by a removable, adjustable shoulder strap.